Feature & Follow: What Do You Do with Your Books? ~ Love.Life.Read. 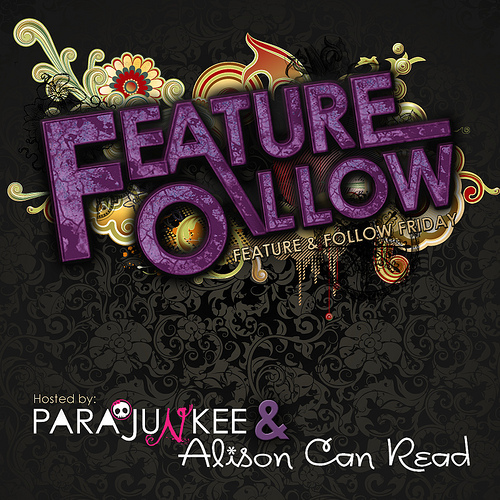 A Weekly Feature by Parajunkee and Alison Can Read--come join us as we learn about our fellow bloggers by answering a weekly question. This week's question: What Do You Do With Your Books After You're Finished Reading Them? if it is an e-book I purchased: I will keep them in my library or I will archive them. I have on occasion, deleted them if I really did not like them (usually one of the free ones I have downloaded). if it is a library books: I am a big believer in using books from the library, so those books are obviously returned for the next person. Since I am a librarian, a lot of times I will use the titles I have read for displays at a future date. if it is a book I have been given as a gift: If I enjoyed the book, or if it was one I had requested, it goes on my book cases. My bookcases breakdown is listed below. if I purchased the title: it goes onto my bookcases. I have my book cases broken up by YA, Juvenile, Adult fiction, Professional, Disney, Cooking and Crafts. Within each of these categories, they are broken up by author then title (with series shelved together) or by nonfiction topics. Pass them along: there are times when I am finished with the physical copy of the book because I either decide I do not need to keep it or I end up switching it to an ebook format. Whatever the reason I decide to thin it out of my physical collection, I will either: 1) give it to someone who will enjoy it, 2) donate it and add it to my collection at work or 3) give it to the Friends group to add to their book sale. So you can see I am meticulous with my books. :) I know some will breakdown their shelves by publishers. Do you? So if you have not followed me--I would appreciate it! I have Bloglovin' and Feedly set up on my right side bar. I would appreciate the follow! Also, be sure to leave me your link so I can hop over to read what you do with your books. Hopping through. I usually archive ebooks quickly too. Unless I really liked it. I don't want it taking up space on my phone. Exactly--have to conserve space!! I keep a few favorites on it so if I am in a rut, I can read one of them. Thanks for stopping by today. I almost always use the library. :) New follower via Bloglovin'! Yay for library support! Thanks for following me. ARCs are precious commodities but I do use them with my teens at my library (though some I do keep). :) Thanks for following Nina! I need to start figuring out something to do with my books, especially ARCs! While I don't have a TON of ARCs, I do have a good amount that I'm either not going to read again, have bought hard copies of or just am not going to read. I really should pass these along, either to my library or to friends!